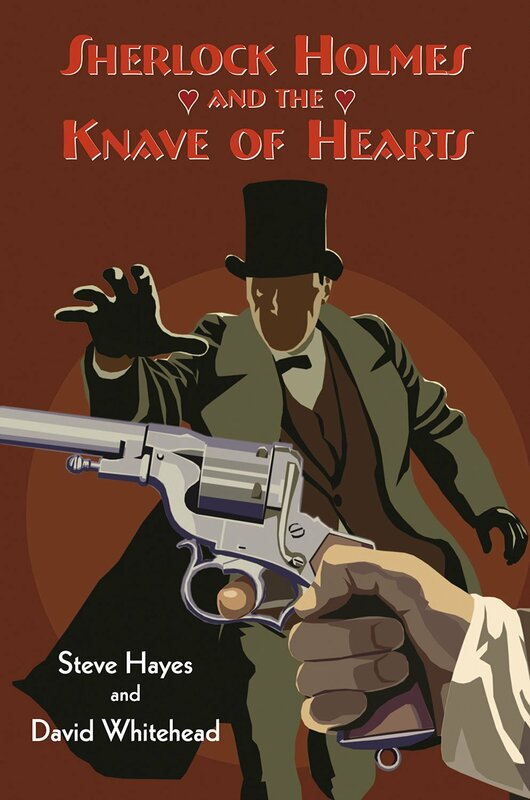 Steve Hayes and David Whitehead's follow-up to their first Holmes pastiche Sherlock Holmes and the Queen of Diamonds (2012). Nice cover art. Following a prolonged cocaine binge, Sherlock Holmes is closer to death than Dr. Watson has ever seen him before. Fearing for his friend's wellbeing, he arranges for the the pair to repair to France, to enjoy a leisurely convalescence at the home of Holmes's old friend Henri Gillet. But even before they reach Paris they become embroiled in a perilous mystery of the like even they have never encountered before. Who, for example, is the strange man with the peculiar fascination for raindrops? And why does someone want one of France's most beloved novelists dead? Before the final explosive confrontation, Holmes and Watson must tangle with a cold and calculating brotherhood for which no crime is too ghastly, especially if it helps to further their own sinister ends.